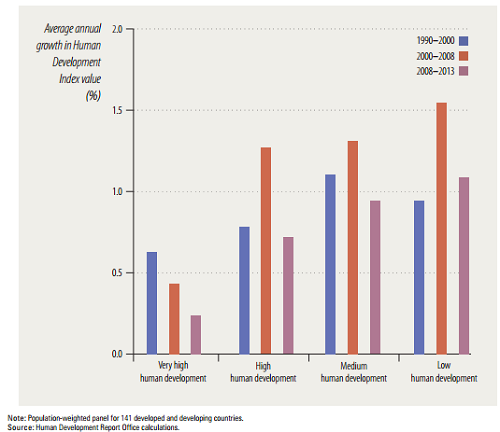 As shown above, the HDI growth rate slowed in the last five years across all four human development groups identified by the UNDP – very high, high, medium, and low. 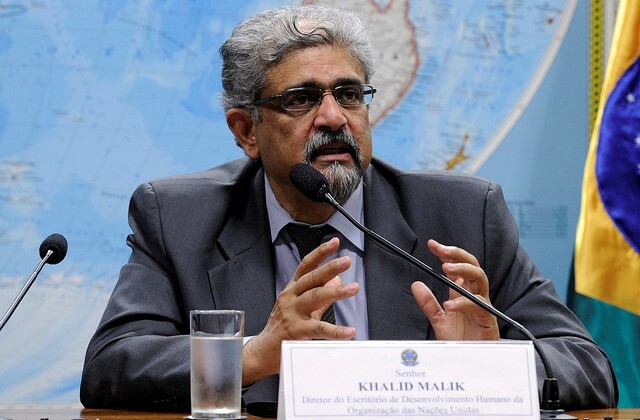 This is a different tone than the 2013 report which highlighted rapid growth in human development in more than 40 developing countries over the last decade. For donors, this means dealing with human vulnerability– scenarios by which people’s capabilities and choices are decreased — as soon as possible to avoid a disruption of growth and to secure existing gains. On July 20, President Ninoy Aquino signed a law removing a longstanding 60 percent ownership cap on foreign banks. Previously, only ten banks were permitted to have fully owned operations in country, including Bank of America and Citigroup. On a broad scale, this new banking liberalization policy has enormous potential to help the Philippines become the next “economic miracle in Asia.” The reform agenda will likely result in increased foreign investment but also new livelihoods, technologies, and capacity for the Philippines ahead of the ASEAN Banking Integration Framework (ABIF), which will open Philippine banks to competition from within ASEAN starting in 2015. In this regard, the reform may help remedy the Philippines’ persistently poor performance relative to comparable ASEAN neighbors in terms of FDI and employment rate. Major shifts lie ahead for the Philippine financial sector, but one of the most important changes likely to occur is the influx of foreign direct investment (FDI). Historically, FDI in the Philippines has hovered between $2-4 billion per year. 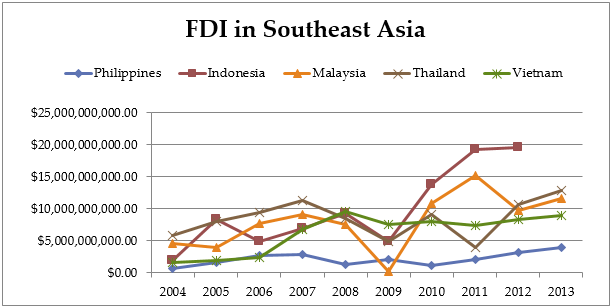 Many regional neighbors, such as Malaysia, Thailand, Vietnam, and Indonesia have been much more successful in this domain, partly due to less restrictive policies regarding foreign banks. As Africa’s heads of states convene at the White House with President Obama to build stronger relationships, increase trade and investment in the continent, and partner for the development of their future, let us hope youth are central to the conversation. Why? Of Africa’s over 1 billion citizens, roughly 60 percent are below the age of 30; and the number of youth on the continent is expected to double to 600 million by 2050. They are and will be Africa’s doctors, teachers, lawyers, entrepreneurs, engineers, farmers, journalists, and political leaders. We know of extraordinary young Africans such as William Kamkwamba, whose clean technology innovations are changing Africa’s energy landscape; Ola Orekunrin, who identified an urgent medical need and started Flying Doctors Nigeria Ltd; and Alengot Oromait, who at age 20 is Uganda’s—and Africa’s—youngest parliamentarian. While they are not alone in displaying the creativity, tenacity, talent, and courage many of this generation possess, far too few of Africa’s youth are being given the opportunity to realize their potential. Leocadia I. Zak was appointed by President Obama and confirmed by the U.S. Senate as the Director of the U.S. Trade and Development Agency (USTDA) on March 10, 2010. 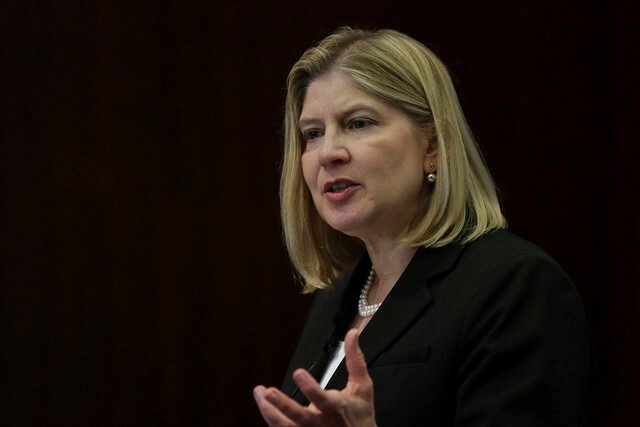 As Director of USTDA, Ms. Zak focuses on expanding U.S. jobs and the markets for U.S. goods and services abroad by supporting U.S. businesses in emerging markets. Some of these targeted approaches include inviting foreign officials to the U.S. for reverse trade missions and offering best-practice training programs.